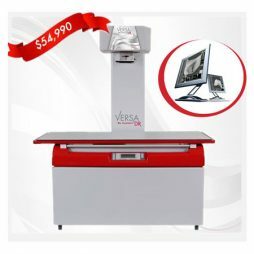 Versa DR sets a new standard in digital radiography. It’s a complete digital system incorporated into the most attractive and safety-conscious exterior on the market. 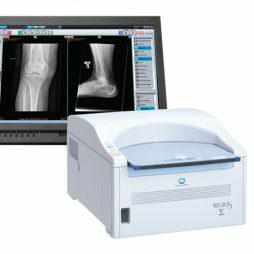 User-friendly DICOM compliant imaging software integrates seamlessly with most practice management software. 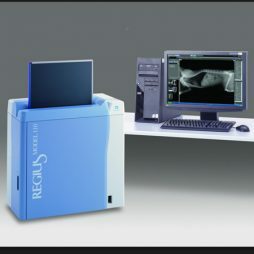 The next-generation Xpress CR REGIUS Model 210–easier to use, ever more sophisticated. An all-around system that achieves maximum productivity in various environments, the Xpress CR (REGIUS Model 210) is an award-winning CR for customer satisfaction. The system is the ultimate in resource sharing concepts, providing economic value and that help lower a facility’s total cost of ownership. A new compact, high-performance design. 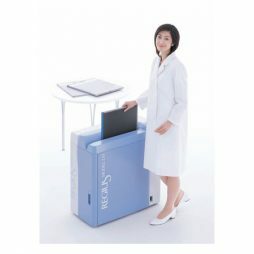 Utilizing a unique dual bay design, the high speed reader of the Xpress CR, REGIUS Model 210, processes up to 100 14″ x 14″ plates per hour for maximum performance. 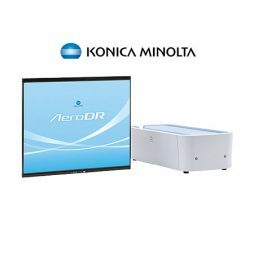 This next generation reader radically improves workflow all within a mere 58 x 58 cm footprint. Centralized image checking for flexible layout. The “Ultimate Resource Sharing” concept provides the flexibility to separate the location of the consoles and the readers. This allows for the same fast and thorough image checking as with conventional systems. The result: system layout and productivity are optimized according to the number of examinations conducted, the work line and floor space. Side panel for optical unit maintenance. 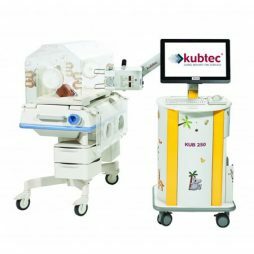 REGIUS Model 210 has a side panel for the cleaning / maintenance of the optical unit. 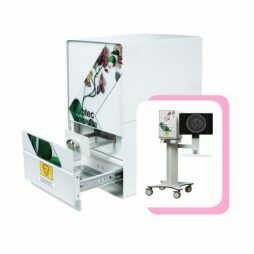 Simply open the panel and pull out the cleaning knob for easy cleaning and removal of fine dust that can accumulate on the optical unit. Two selectable options for cassette registration. Cassette registration mode can be selected from two options: registration at imaging (barcode registration) and registration at reading (screen menu selection). 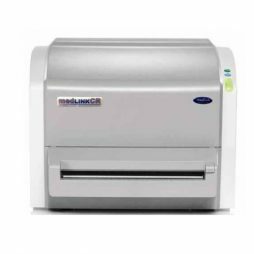 This enables a more flexible operation that is adaptable to a facility’s workflow. Two types of bar code readers are available; single-type or multi-type. 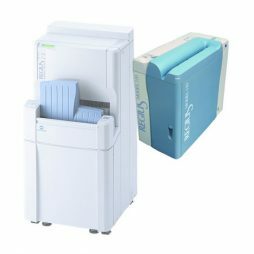 The Medlink CR-X and the CR-X5 systems offer an ideal solution for any private practice or decentralized CR environment. This new configuration is easy to install, use and maintain. View and analyze images from any location thanks to the system's local and web viewing licenses. 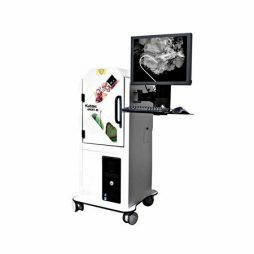 Medlink CRs use proven technologies to ensure uncompromising and consistent image quality. 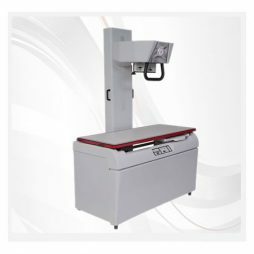 Three Year Warranty on MedlinkCR Workstation and Monitor. 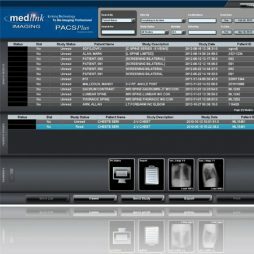 Medlink Imaging has been providing PACS Solutions for years to the imaging professional. Solutions designed around you the customer, from archive to overall functionality and integration. Ideal solutions designed around Orthopedic Facilities, Rural Hospitals, Family Practice, Urgent Care and more. From entry level 1TB Solutions with RAID 1 and Hot Spare to 12TB RAID 6 with Hot Spare Solutions both in a Tower or Rack Mountable offerings.